Attend a 3-hour workshop and learn 5 different types of candles. 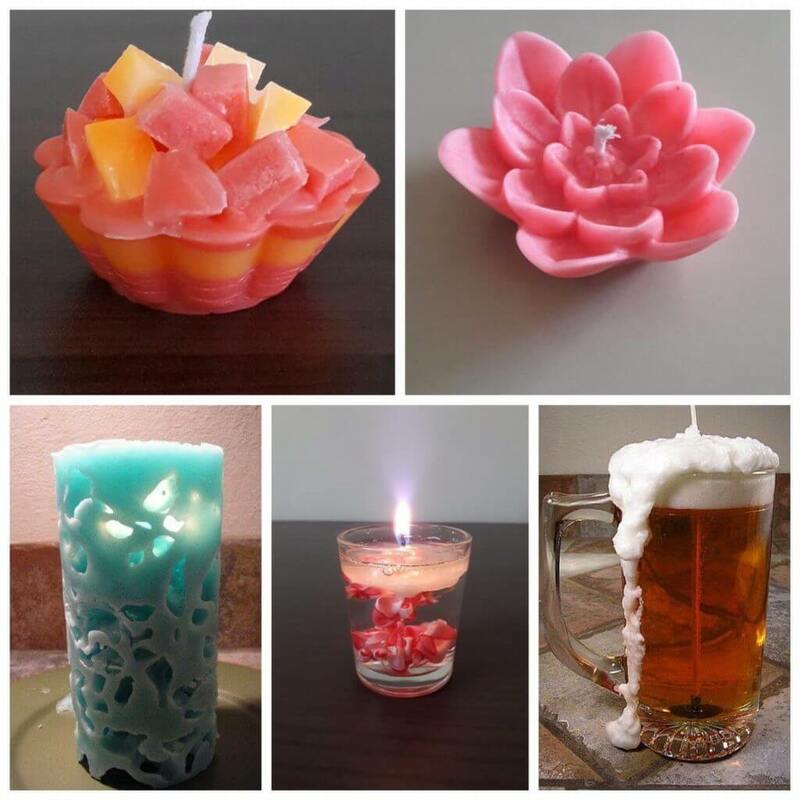 You will learn how to create attractive and elegant candles using gel and paraffin. Learn how to properly embed the wick, carve beautiful candles and incorporate perfumes, scents, essential oils and color into your candle designs. 1. Beer Candle: These are gel candles that closely resemble actual party drinks and smell amazing too. 2. Ice Candles: As the name suggests, ice candles are made by using actual ice. As they burn, you will be able to see all the variations of light through the holes in the candle. These candles look different and are beautiful gifts. 3. Floating Candles: Slow-burning floating candles have cotton wicks. The floating candles are made of the highest quality paraffin wax. 4. Fruit Bowl Candles: Fruit bowl candle has a sinfully delicious and heavenly fragrance. Light this Fruit bowl and allow the compelling notes of fruits to create a deep tapestry of rich scent throughout your room. This gorgeous fruit bowl candle pairs easily with a theme based celebration or for gifting. Good enough to eat candles indeed. 5. Water Candles – Water candles are easy to make, this can be use for festive decoration, and can be a lighting setup for a dinner and for the bedtime.Only a demonstration of this type of candle will be shown.